Gewürztraminer is a high quality white grape which produces classic varietal wines in the Alsace region of France. It is the second most widely planted grape in Alsace and the most widely planted in the Haut-Rhin where it is particularly well suited to the clay-rich soils found in the Vosges foothills. 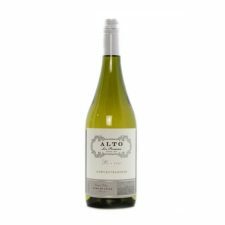 It is normally fermented dry and produces golden, medium to full-bodied wine with heady aromas of lychees, rose petals and white peaches. It attains naturally high sugar levels far in excess of Riesling and this makes it ideal for sweet, late harvest wines. Hugel and Schlumberger consistently produce the finest Gewürztraminer wines in Alsace. It is also planted in Germany (specifically in the Rheinpfalz and Baden regions), Austria, the Alto Adige in Italy and to a lesser extent in Australia, New Zealand and California.